Use a variety of tactics at your disposal, like espionage, trading and your full combat power to lead your great nation to supremacy. 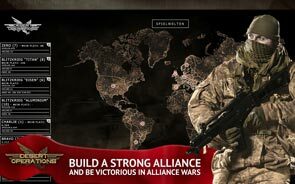 Use your battle and espionage report to adapt your strategy. 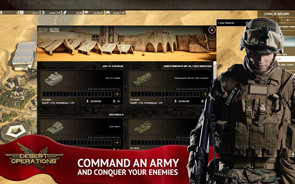 Command your troops, fighter jets, heavy tanks, bombers and warships around the world. 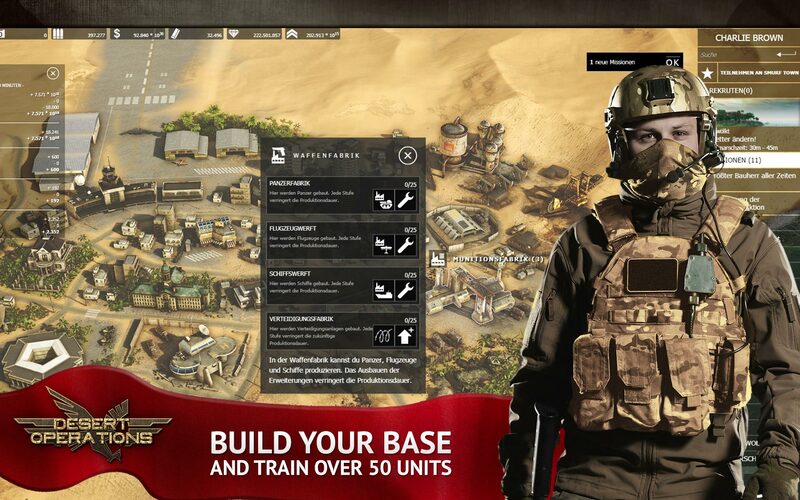 Send your spies to infiltrate the enemy bases and acquire the most precious resource at war: intelligence! 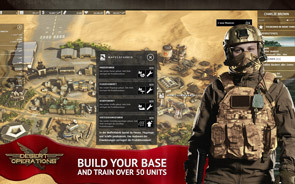 Control the resources, the flux of oil and provoke conflict when you embargo your enemy and break his resource income. Fight against thousands of players and reign over the world, but it won't be easy, you'll be cutting it close. 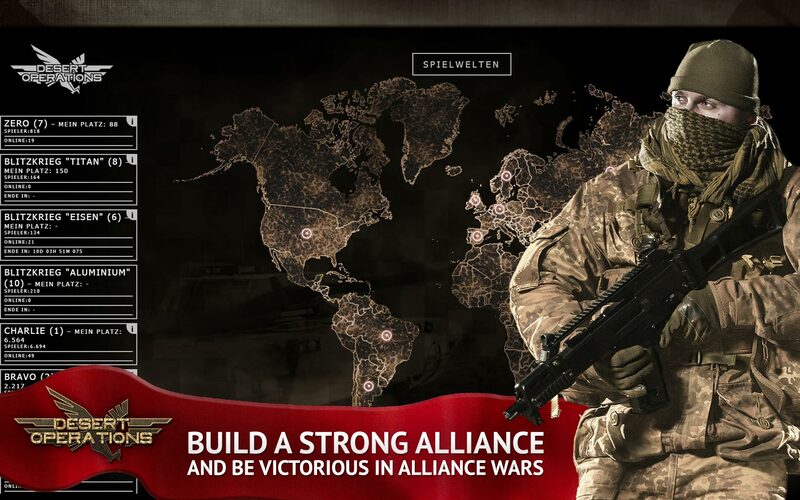 Increase your influence and power by joining alliances and declaring war to other pacts and alliances. Even you will have to decide whether you want to team up or divide. 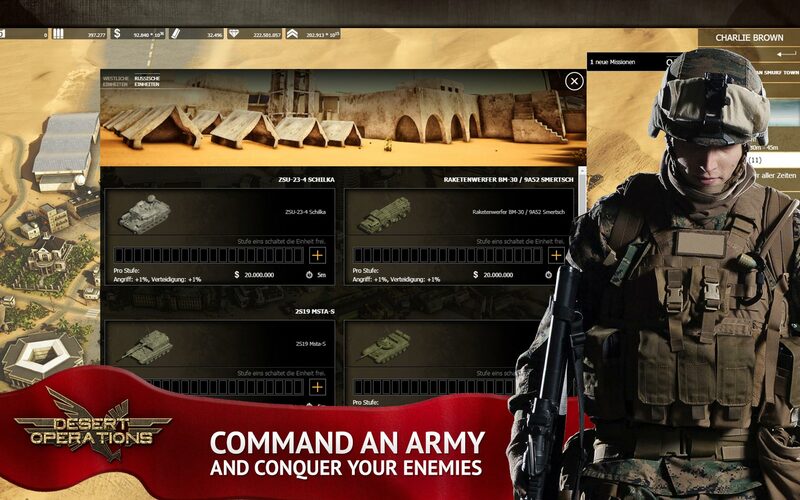 In any case, your ultimate goal is to become the best Commander in Desert Operations!